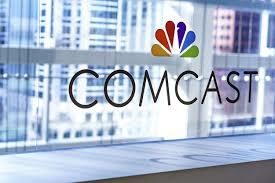 Comcast, US cable giant and owner of NBC, is to become the new owner of Sky. The company outbid Rupert Murdoch's 21st Century Fox in a blind auction for control of the company, which took place earlier on Saturday. In the auction, Comcast's winning bid valued Sky at over £30bn, with Comcast's bid equating to £17.28 per share, beating Fox's offer of £15.67 per share. Comcast sees the takeover as a way of giving it greater presence in Europe and according to reports is interested in some of the technologies developed by Sky. Sky is Europe's biggest pay TV operator. Speaking after the conclusion of the auction, Brian Roberts, chairman and chief executive of Comcast, urged Sky shareholders to accept the offer so that the transaction could be completed by the end of next month. For a long time, it had looked like rival 21st Century Fox would get its way and take over the shares in Sky that it didn't already own. In turn, Fox's share would become Disney's as part of a second takeover, involving 21st Century Fox's entertainment assets and Disney. However, the company couldn't match Comcast's knockout bid. Following the Comcast takeover, Sky News looks set to forge closer ties to Comcast's NBC News portfolio including CNBC and Euronews NBC. The channel's ongoing independence and future was secured ahead of a final deal on Sky. The takeover has however raised some concerns among some Sky subscribers: in the USA Comcast has been associated with bad customer service, a quick internet search for "Comcast reviews" produces a raft of negative reports and some fear Comcast's business practices will soon make their way across the Atlantic. At the present time, Sky is Ofcom's least complained about internet and pay TV provider.